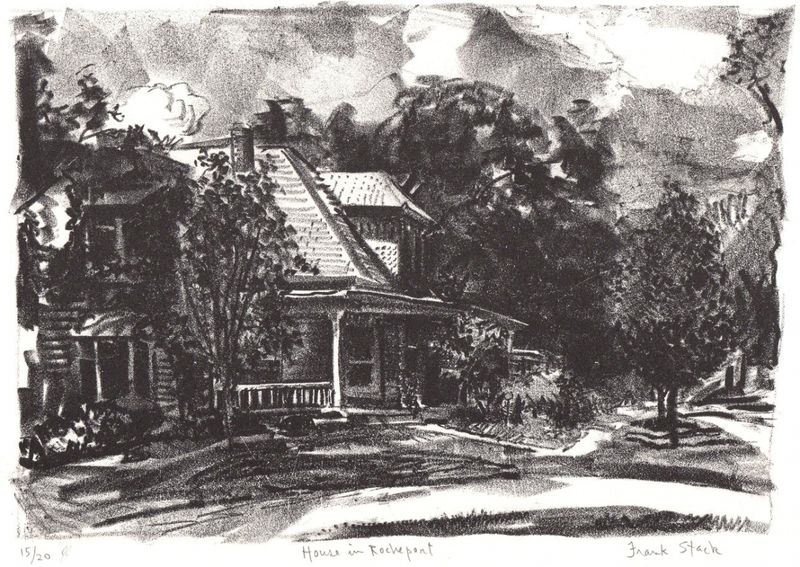 This pencil-signed hand-printed lithograph respresents a view of an historic house in Rocheport, Missouri. Using black and varying shades of gray Stack skillfully captures the architecture of the building, the trees which surround the house and the sky. This impression is from a limited edition of only 20 and is numbered "15/20". Image size: 8.25" x 11.75", Sheet size: 11" x 15".